Diversity can be the cause of many problems at work and most people fail to recognize the issues involved. It is not just verbal expressions that cause confusion and distress. Behind every gesture lies a world of meaning and interpretation. We do not all communicate in the same way. This, alongside strict policies around political correctness and inclusion, creates confusion, fear and a type of paralysis which can seriously undermine performance. 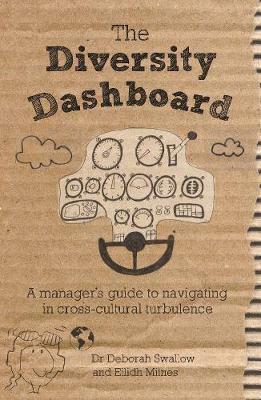 The diversity dashboard is a quick reference guide to help managers bridge the cultural gaps in their organizations. Swallow and Milnes use the analogy of a pilot's cockpit to describe the various functions, instruments and levers that managers can employ to close the cultural gaps that prevent their businesses from succeeding fully. Navigation, compass reading, understanding the cultural cockpit, addressing turbulence, ensuring the organization has a flight management system and passport control all play their part in this lively and entertaining book. The diversity dashboard delivers a serious message in an accessible way to demonstrate how far different world views can inhibit performance.